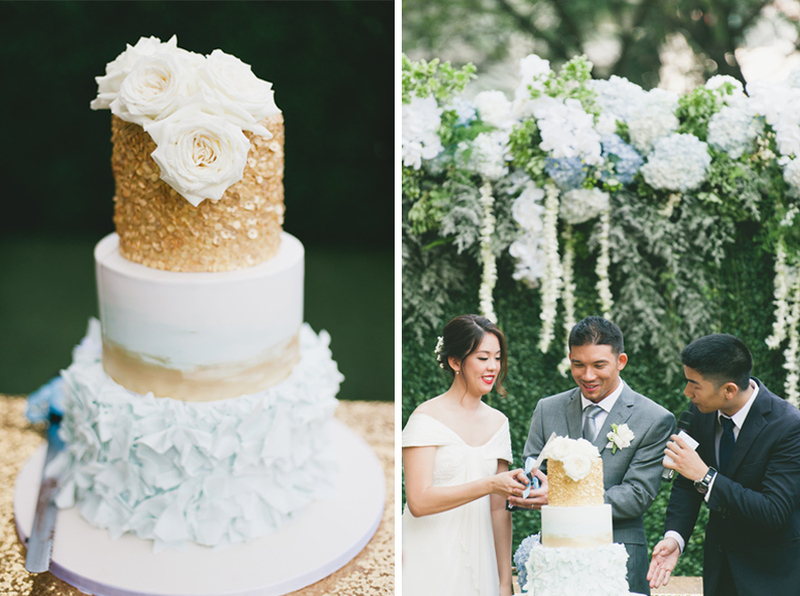 If you’re looking for wedding inspiration in blue, cream and gold hues that’s cheerful, light, and exudes a fresh elegance, look no further than Kristian and Mellissa’s big day! 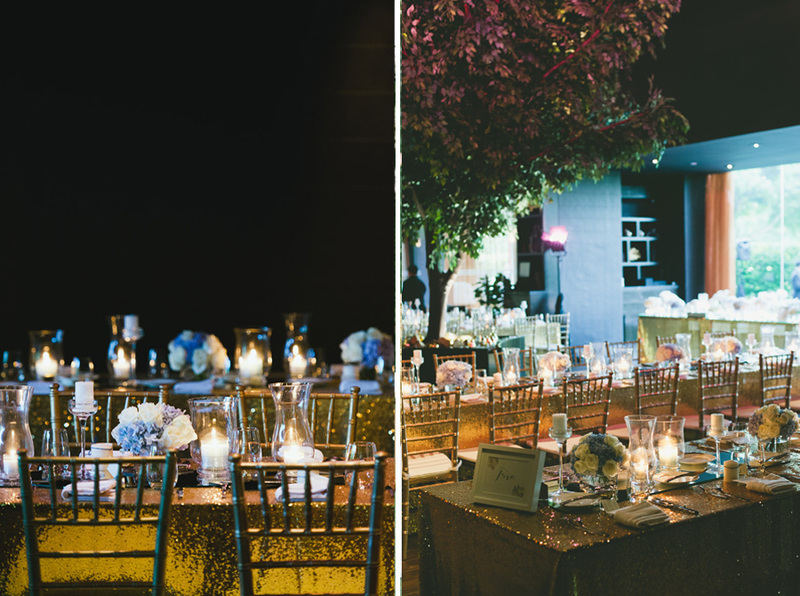 This colour palette shines in an outdoor setting, as you will see in these beautiful pictures expertly taken by Joshua and Daren of Inlight Photos. 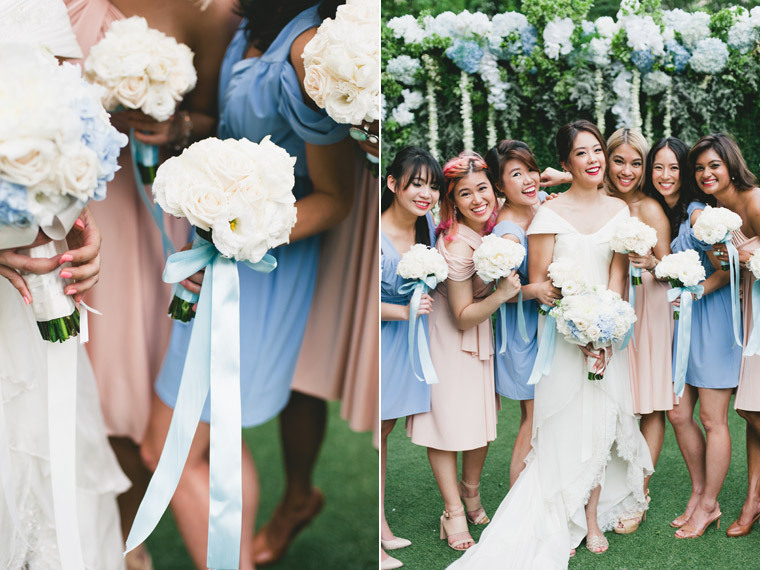 Blue and blush-coloured tones complement each other elegantly. Our couple know us from their many friends’ weddings that we decorated over the years, so it was rather natural for recommendations to be pointed our direction. “I knew that we could trust the Wishing Tree team,” says Mellissa, “and that we didn’t have to micro-manage or give them very detailed briefs – this was a major selling point because I didn’t want to hand-hold a less experienced or new decorator, and would rather pay for peace of mind.” Thanks for the confidence, Mellissa and Kristian! A simple table setting framed beautifully with a lush backdrop. 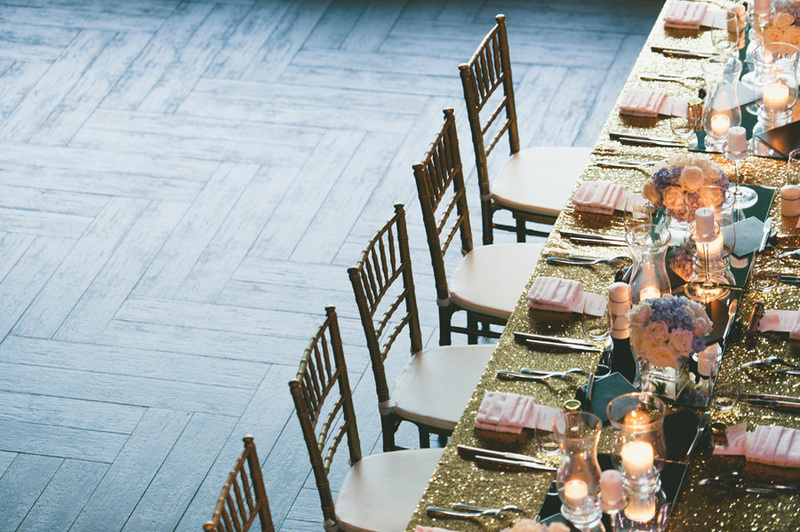 In our almost 20 years decorating weddings, we have heard all sorts of inspired ideas from brides and grooms about how they would like their wedding to look like.. and they continue to surprise us with their input. With Kristian and Mellissa, they had more specific ideas of what they did not want, instead of what they wanted – so everything worked out by method of exclusion! But it did start with the blue that Mellissa really liked, because “it wasn’t too girly.” Neither did our couple want anything too rustic. The gorgeous wedding cake by Miss Shortcakes. 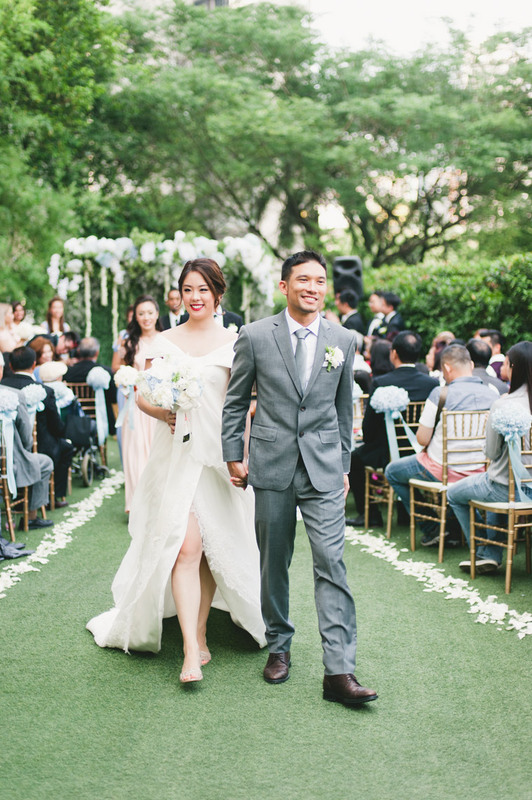 Mellissa and Kristian, looking amazing on the aisle. 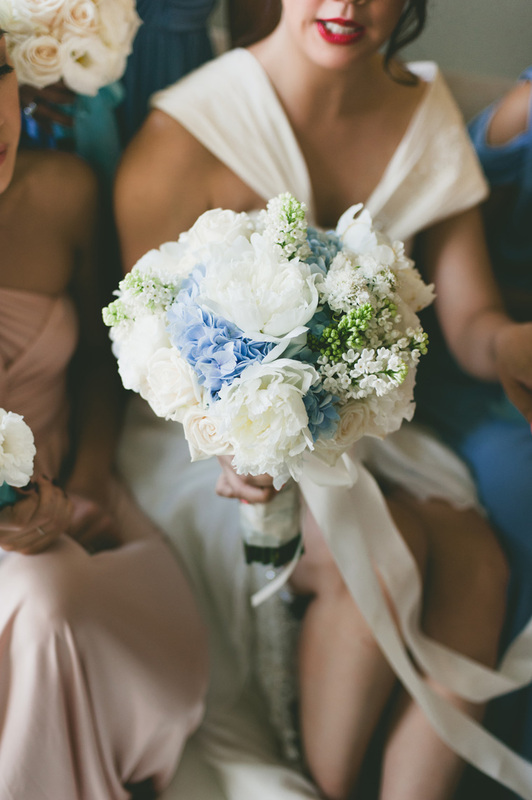 Our bride loved her bouquet so much that she didn’t toss it. The wedding party moves indoors, into the dining space at Marble 8. The decor is an extension of the outdoor ambience, with a more luxuriant touch. 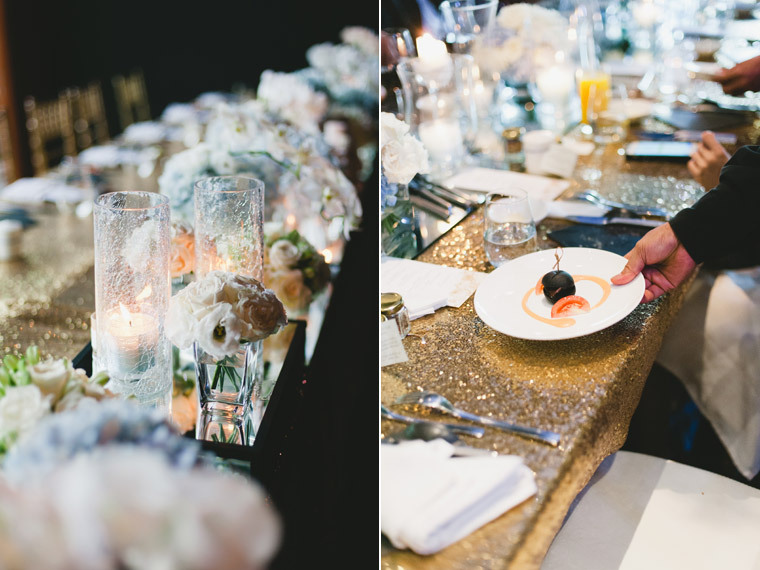 Shimmery gold table linens lend an air of glamour. 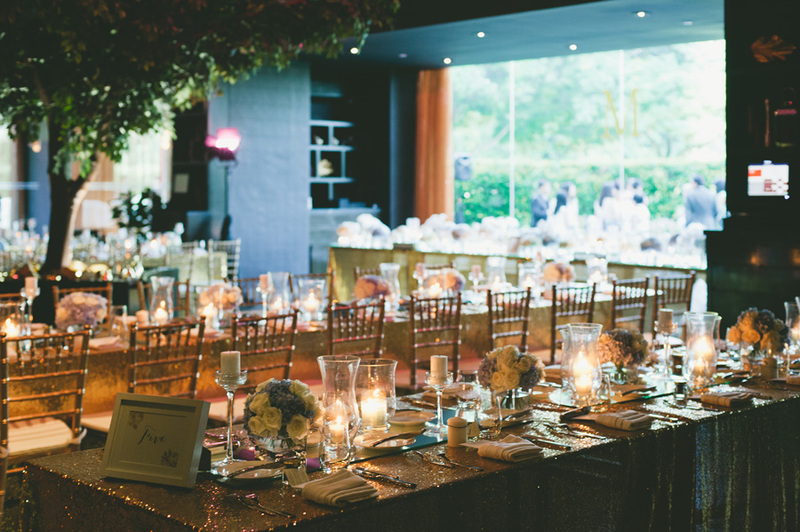 Bathed in golden candlelight, the lunch reception is tastefully intimate and elegant. 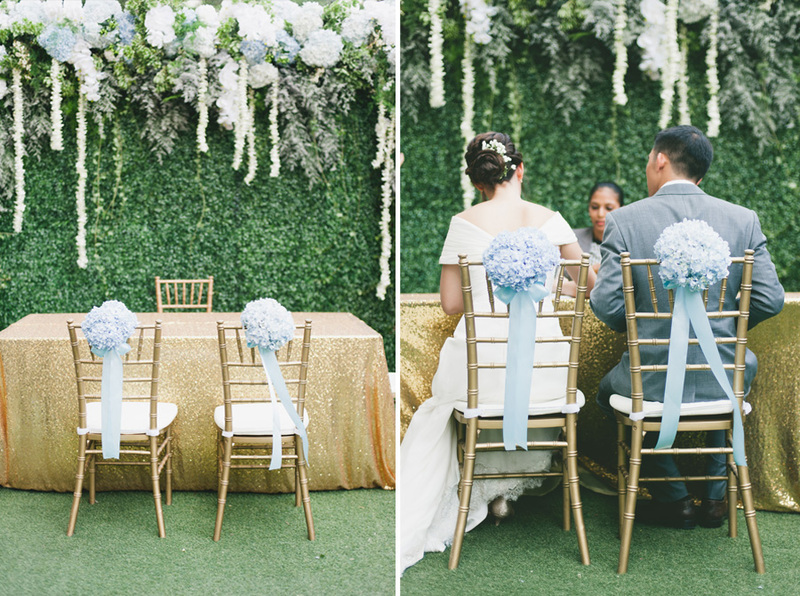 A closer look at the guest tables, decorated in shades of blue, cream, gold and white.